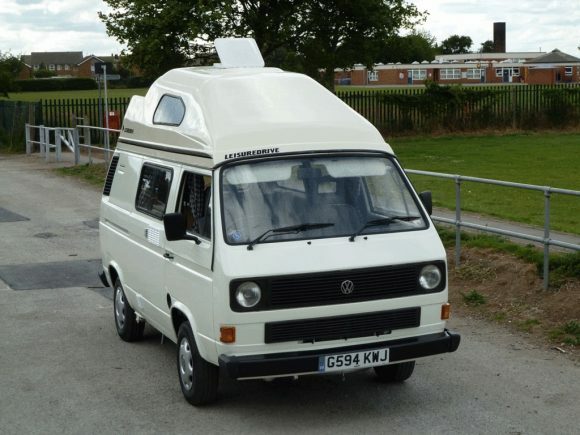 This is a 1989 VW hightop camper van conversion done by Leisuredrive. 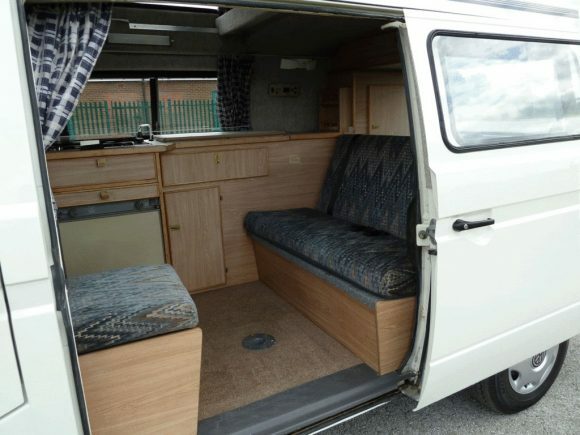 This one has a 1600cc Turbo Diesel engine & 5 speed gearbox and a very tall hightop. 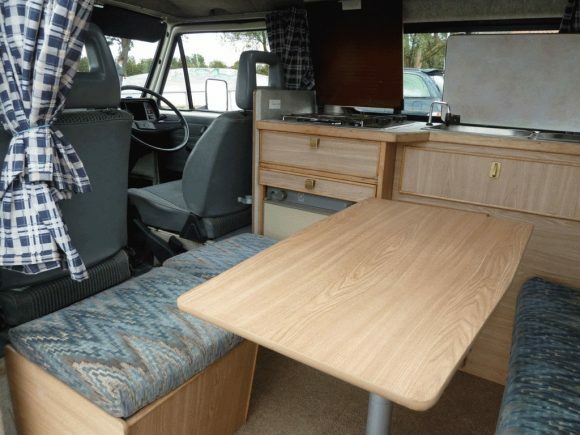 Everything on the interior is custom and ready for camping. 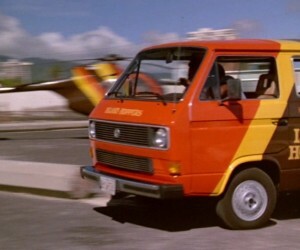 This van was for sale back in 2011 which is where the pics came from. 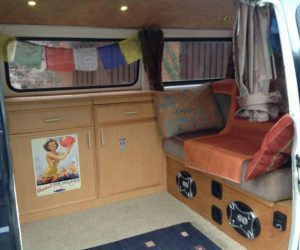 Click through to see the interior.